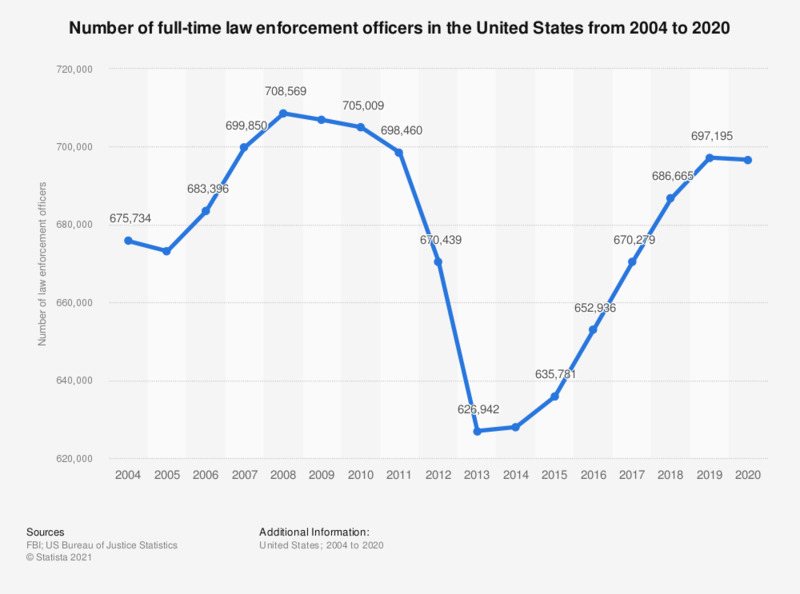 This statistic displays the number of law enforcement officers in the United States from 2004 to 2017. In 2017, the government employed 670,279 law enforcement officers. The FBI defines law enforcement officers as those who regularly carry a firearm and badge, have full arrest powers, and are paid from governmental funds specifically for sworn law enforcement representatives. The data from previous years can be accessed here by clicking on the required year, Police Employee Tables, and National Data. Statistics on "Crime in London (UK)"